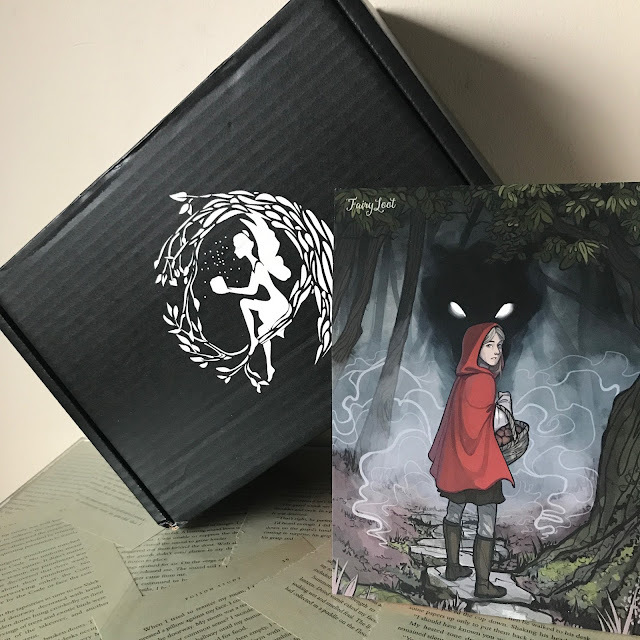 Feeling Fictional: Fairyloot Unboxing - February 2018 "Twisted Tales"
FairyLoot February Box "Twisted Tales"
I realised when I was writing my unboxing for the March FairyLoot box that I'd completely forgotten to post about the February box so I thought I might as well post them both at the same time. 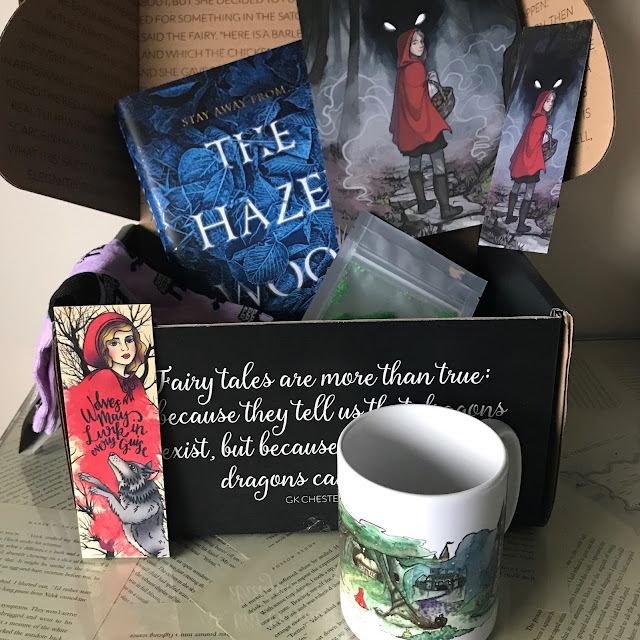 I'm a HUGE fairytale fan and I absolutely love retellings so the minute I heard about the theme for this book I just HAD to have it. I'm sure most people have already seen unboxings and know what was included but I'm going to share some pics here anyway. 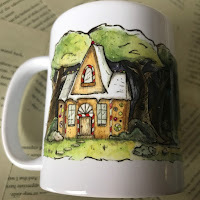 The first item is this absolutely gorgeous "Grimm Tales" Mug designed by Aunjuli Art. 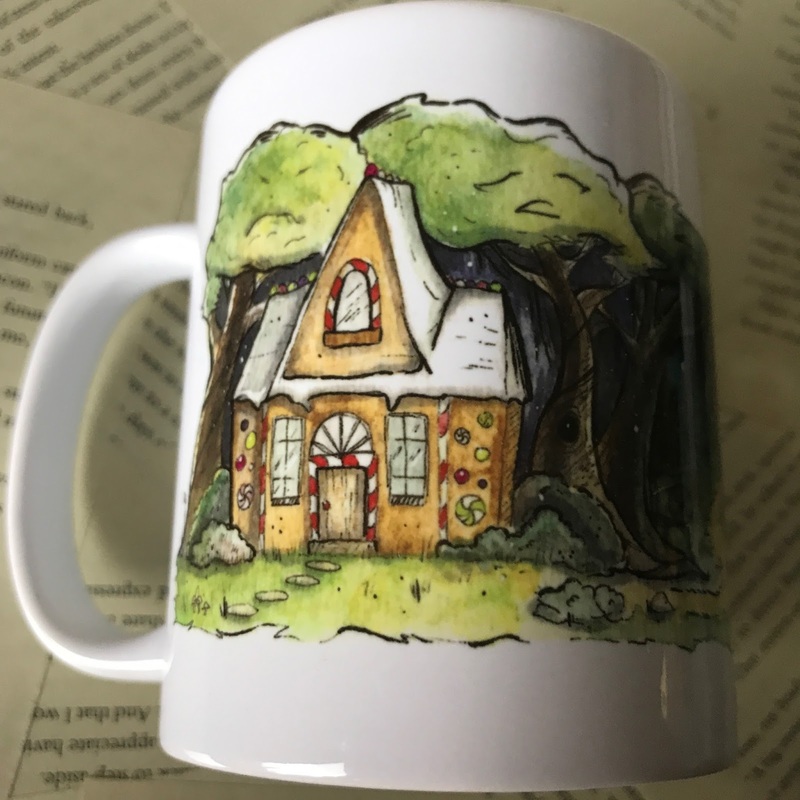 You can never have too many mugs - especially not when they're as pretty as this one and I love that it's been inspired by so many different fairytales. 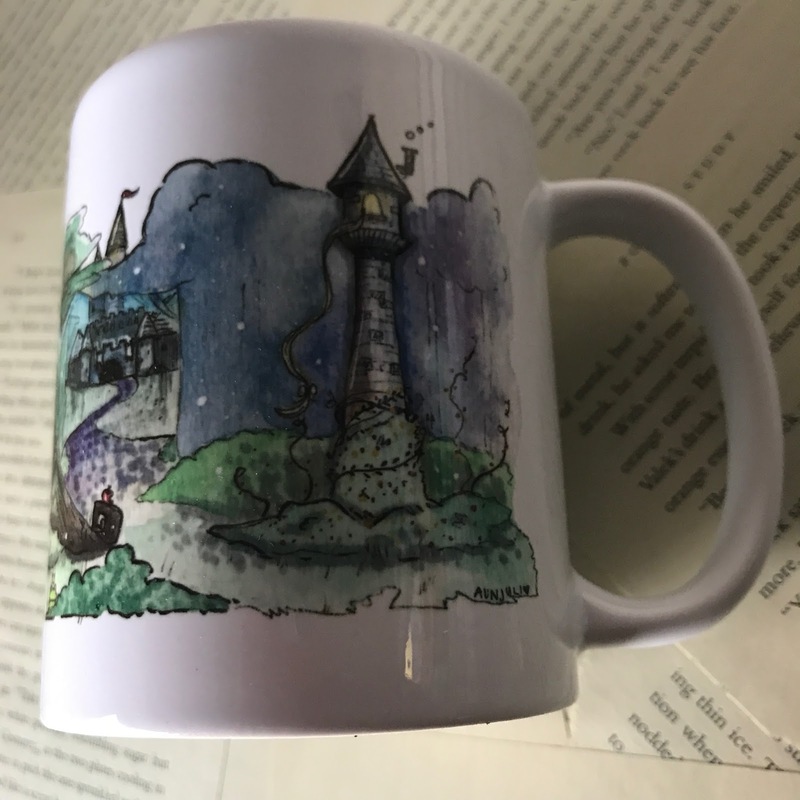 Then you have this bookish "Hinterland" candle from Wick and Fable that was inspired by this month's book and smells lovely. 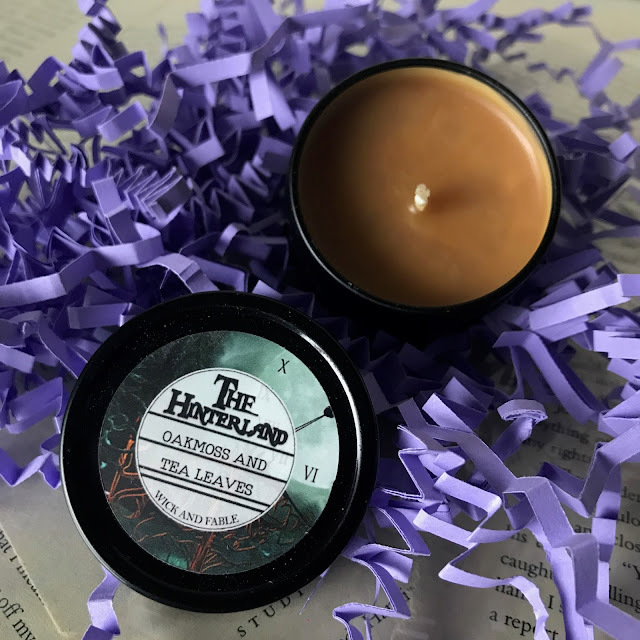 I can never have too many candles so this was a definite hit for me. 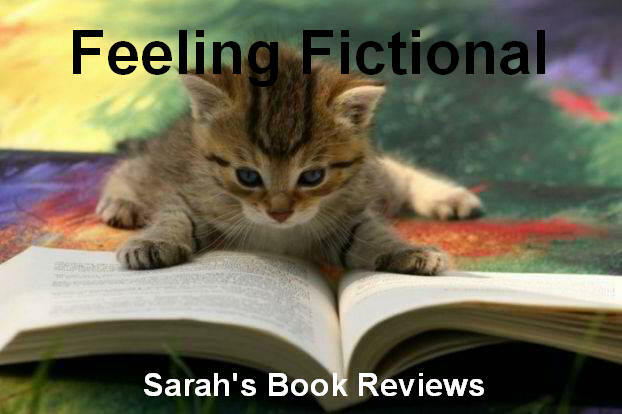 The third item was these "Poisonous Apple" bath salts from Little Heart. 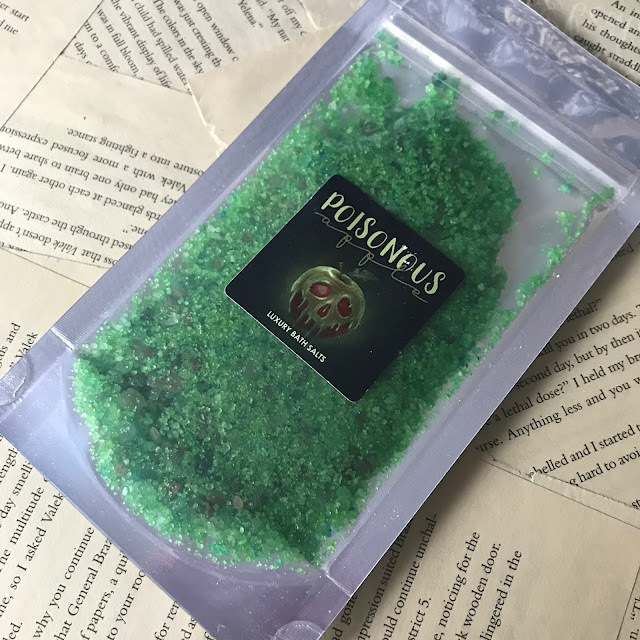 The salts smell nice enough but I have to say bath items are my least favourite thing to receive in subscription boxes, I have very sensitive skin so have to be really careful with the products I use and my house doesn't even have a bath tub in it (I only have a shower!) so I couldn't use these even if I wanted to. 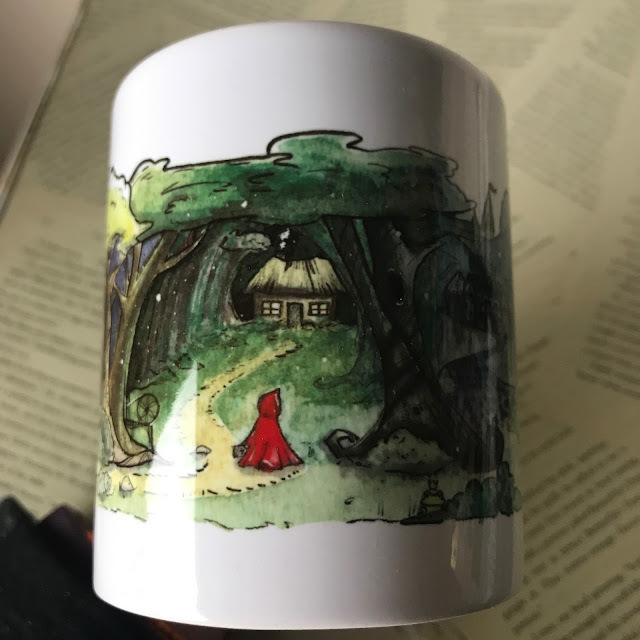 I'll end up giving this away to a friend because it's useless to me and it doesn't even make a good decoration to stick on my shelves. 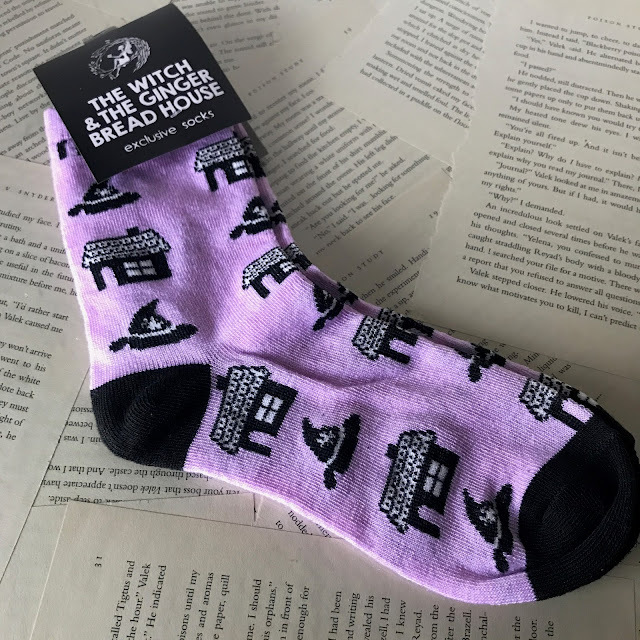 These socks are Fairyloot exclusives and have pictures of a gingerbread house and a witches hat on them. You can never have too many socks and these seem fairly good quality ones but I can't say I love the design all that much, it's pretty boring really and not something I'd have chosen myself (I already have an extensive collection of Harry Potter socks so I'll admit my sock standards are pretty high LOL). At least I'll get use out of these though so they're a better option than the bath salts. The last item before the book was this GORGEOUS wooden bookmark from Ink and Wonder, I have a few of their Woodmarks now and I love them all. 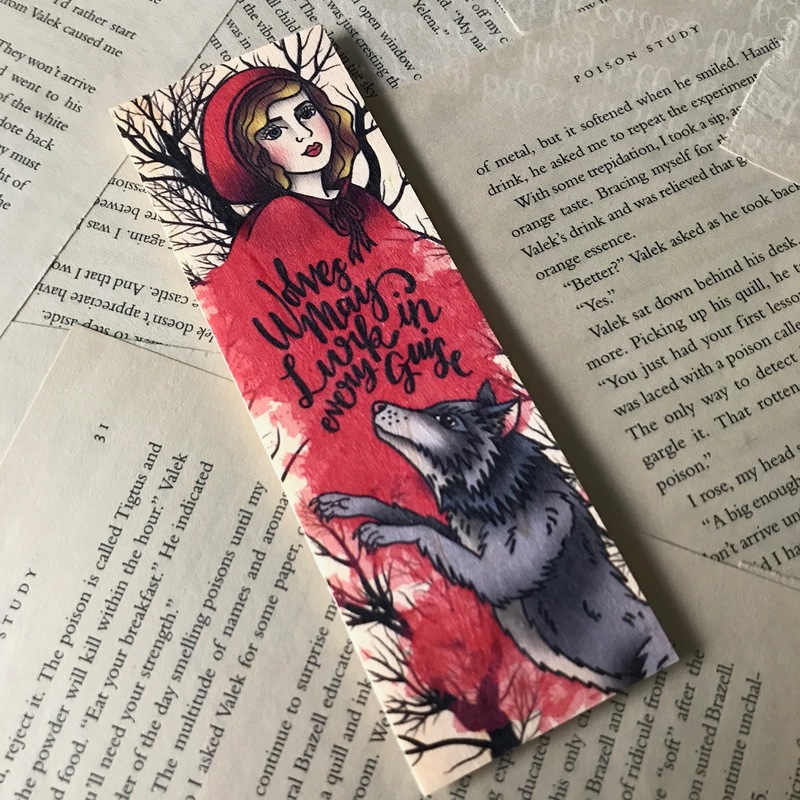 They create the prettiest designs and of course this one is based on Little Red Riding Hood. 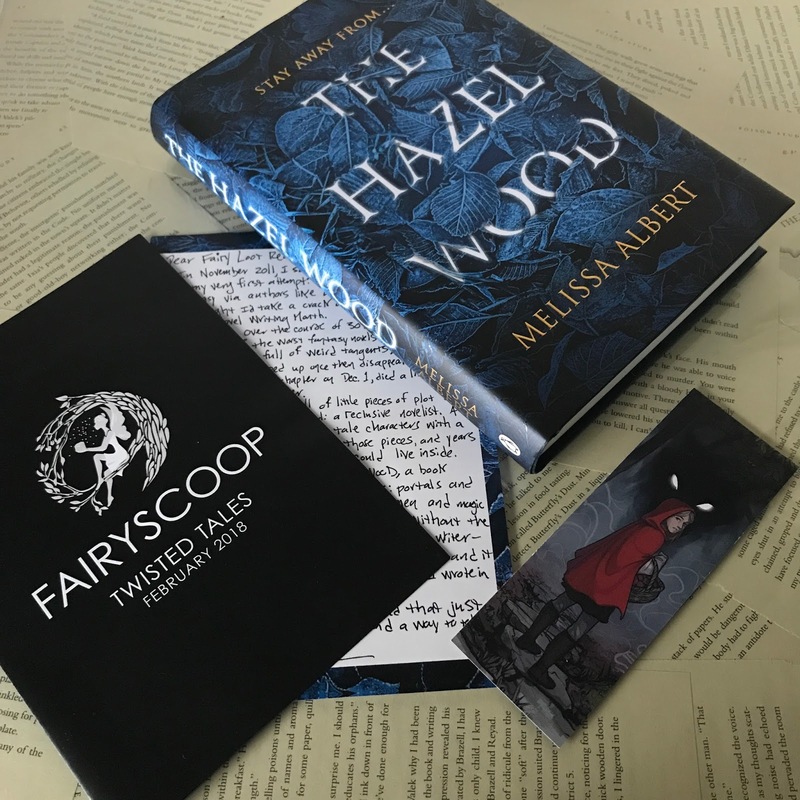 I had already guessed the book that would be included in this month's box (I only ever buy the boxes if I'm pretty sure I know what the book is and know that it's one I'd like to read) so I was very happy to confirm it was The Hazel Wood by Melissa Albert. 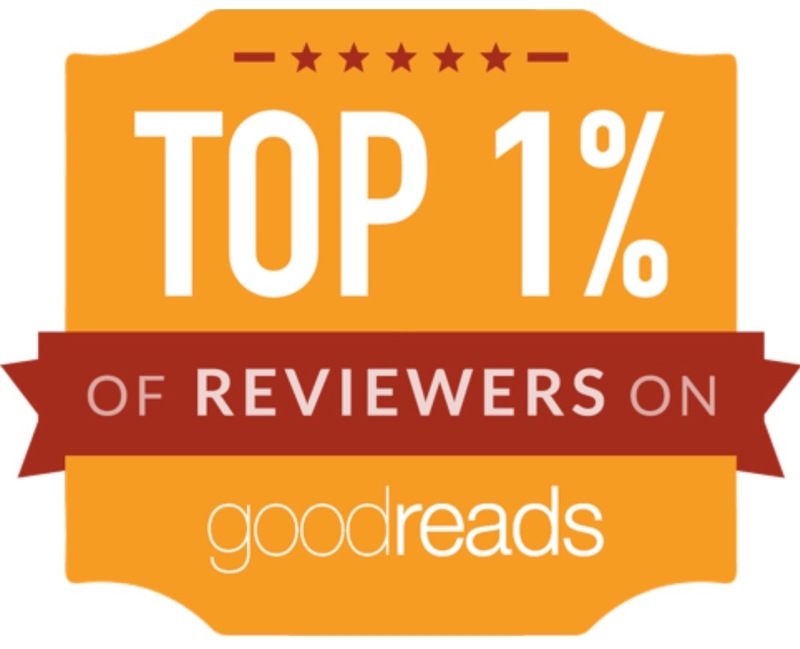 This book sounds fantastic and I'm excited to read it soon. As usual it came with a letter from the author but rather than a bookplate the book itself has actually been signed by the author which is even more exciting. So that's the contents of the February box, I'm looking forward to reading the book, I love the mug, woodmark and candle plus the socks are useful so most of the items were definitely a hit for me this month.